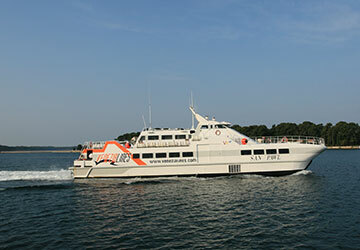 The Rovinj Venice ferry route connects Croatia with Italy and is currently operated by 2 ferry companies. The Venezia Lines service runs up to 7 times per week with a sailing duration of around 3 hours 45 minutes while the Atlas Kompas service runs up to 3 times per week with a duration from 2 hr 45 min. 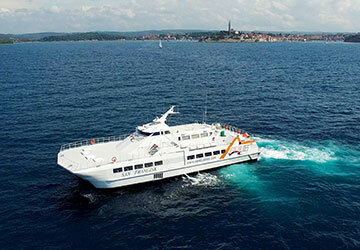 So that’s a combined 10 sailings on offer per week on the Rovinj Venice route between Croatia and Italy. Compare now and get the best fare at the time that you want to travel. "It was a good choice"
The trip was quick and comfortable. Because I came to Rovinj by bus I didnt know from which place the ferry goes off. So if You take the ferry from Rovinj there are 2 possible places for the ferry to go off. I needed to call the agency before to be sure, that I will be in the right place! A good thing was, that on the board the agency told us about the possible services they can arrange for us, like taking the gondola. And that one of the Staff took us directely to the San Marco square! 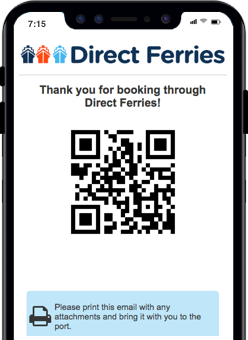 The booking process and time before boarding wasn't user friendly - no explicit departure and arrival details during the booking process, port details not shown in the final confirmation and you have to google which port to go to by yourself. Latest port check-in time was supposed to be 60 min before departure but no staff showed up for check in until 45 min before the departure and I had to stand in the cold early in the morning. No signs regarding to exact port location, there is no way to tell where exactly the ferry would park before the ferry arrives, so no way for travellers to pre organize (unless you ask a local) Saying that though the trip did go fine for me. 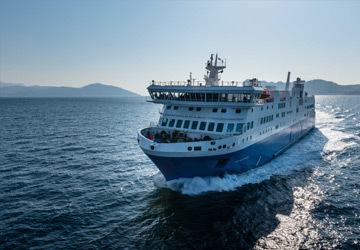 "Great service but need more info"
Once onboard all was fine but we had trouble finding where the ferry goes from - there was no address on the booking confirmation and when I called the UK they didn't have one either, just an office address that we couldn't find. So we drove around until we found the ferry and the crew had just arrived and they told us where to go to get onboard. When we arrived there we were first in the line, then the office employees arrived and set up the check in half way down the quay, and it was chaotic. Actual service was great on board and I recommend it as the way to go to Venice - to arrive by sea. "Great way to get from Rovinj to Venice"
We booked Premium seating and we're pleased we did as the seats were spacious, comfortable and upstairs in a smaller cabin area. The ship was punctual and all our luggage (which was a lot) was loaded and offloaded for us. Overall we were very pleased with the Venezia Lines ferry.